I grew up in India. But contrary to the outlandish non-desi claim that cobras, elephants, rhinos and all manner of flesh-eating yogis fill India’s square-footage cheek by jowl, I rarely came across such sights—outside of zoos, forests and the occasional temple—anywhere in India. The flesh-eating yogis—being a bit more exotic, definitely more mythic—I am happy to report have never crossed my path. That said, the truth is that an Indian grows up on a steady diet of the outlandish. Our history and literature ooze Para-normality. The Hindu culture itself boasts 330 million major and minor gods who battle an endless franchise of demons and/or demonic wannabes in a never-ending Time Cycle on and off several realms unseen by the human eye. 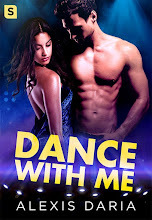 (Won’t bother mentioning the Buddhist, Jaina, Zoroastrian, Islamic, Catholic or Tribal myths that pepper and intermix with Indian culture in various capaci­ties.) Suffice it to say that Indians are extremely familiar and oddly comfortable with scientifically inexplicable phenomena. I won’t be amiss in claiming that my introduction to the fantastic began in my mother’s womb. I’m pretty sure she read and chanted plenty of allegorical stories, poems and prayers throughout the pregnancy. But my first clear memory of the art of storytelling was when I was five. My paternal grandmother lived with us and a maa lishwaali (a female masseuse) would come every morning to massage her old bones. The masseuse, an illiterate though plainspoken woman, loved discussing episodes from the Sanskrit epics, the Ramayana and Mahabharata (think Iliad and Odyssey, only much longer.) As I loved listening to those stories it became a ritual for me to sit in on the massage sessions. My world began to expand with every tale. I came to love Sita (the exiled queen stolen from her beloved Rama by the demon Ravana) as much as I loved Sleeping Beauty (the unlucky princess secreted away for her own safety.) Karna (think Achilles) is the utterly hot, devastatingly misjudged demi-god from the Mahabharata, and remains my favorite mythological hero (or non-hero, depending on your loyalties) to this day. So much so, that I’ve written a 400 page story about him. My point is that while I never dreamed of being an author ever—not until I stumbled into the writing profession and actually became one five years ago—I have always been in thrall of the fantastical. Or drop her a comment at www.falgunikothari.blogspot.com. 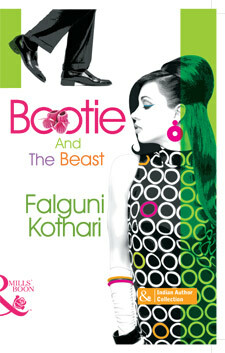 Look for Falguni's new book to debut next month! Cover Reveal on Friday, November 6.